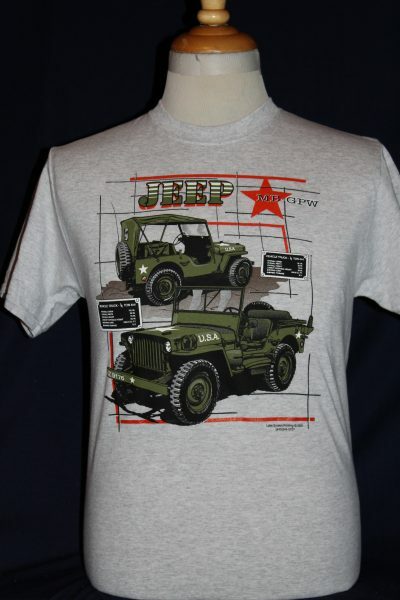 The WWII Jeep MB-GPW T-shirt is a single sided print in grey. 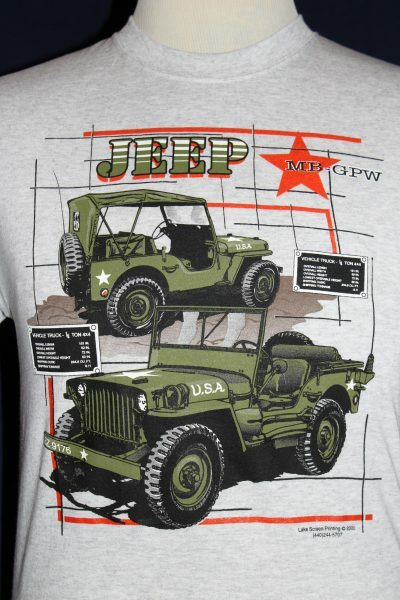 Front Design Only: Right side view of a canvas covered Jeep, and a left front view of the uncovered version. Manufactures name plate and text.